President Emmerson Mnangagwa is between the proverbial rock and a hard place as he battles to mitigate the country's worsening economic rot — with his impending business trip to Eastern Europe drawing fire from many sceptical quarters which doubt that these jaunts will yield anything tangible. This comes as the 76-year-old Zanu-PF leader is increasingly feeling the heat from long-suffering Zimbabweans — including restless government workers and ordinary citizens — who are reeling from the country's latest economic meltdown. "In respect of the first four countries, the visits are at the invitation of his (Mnangagwa's) counterparts. The countries … are strategic both bilaterally and multilaterally. 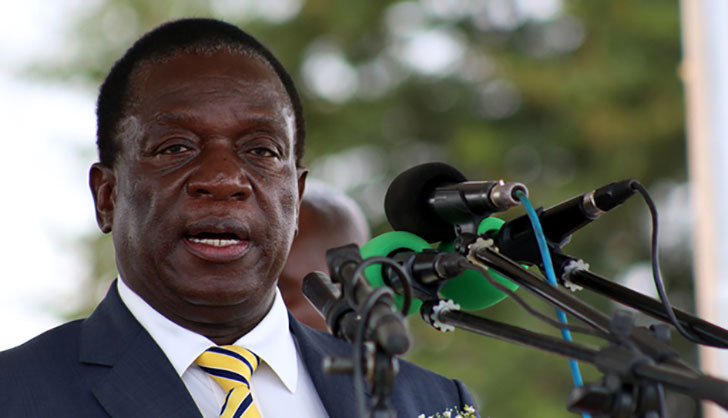 "The other two countries (Azerbaijan and Kazakhstan) are also oil rich nations, with some of the fastest growing economies and interests in mining, energy and tourism," Mnangagwa's spokesperson George Charamba said of the forthcoming trips. Analysts who spoke to the Daily News yesterday also said that there was a desperate feeling of "déjà-vu" about the trips, as ousted former president Robert Mugabe had also tried to "look East" in vain, towards the end of his ruinous rule. Piers Pigou, a senior consultant at the International Crisis Group, said Mnangagwa's trips were "unlikely" to provide respite to the burning country, at least in the short term. "One hopes that these visits provide some meaningful trade and investment options, but they are realistically a part of the longer term economic recovery programme and will not provide immediate or short term relief to the current crisis," he said. Political analyst, Rashweat Mukundu, said the former Soviet Union countries were "certainly not a panacea" to Zimbabwe's myriad crises — adding that Mnangagwa's visits to that region simply betrayed desperation. "The targeted countries are authoritarian regimes which have nothing to offer Zimbabwe other than the same old politics of repression that were experienced under Mugabe. "Countries like Russia and Belarus are resource-driven … and resources are not doing well on the international market, hence they are struggling economically and thus may not have enough to invest in Zimbabwe. "The other question is what Zimbabwe's foreign policy is and what it is which defines who we engage with. This remains a grey area for this regime," Mukundu said. On his part, another political analyst Maxwell Saungweme said Mnangagwa's visits to Eastern Europe was not "wise" under the current circumstances. "These trips are necessary to link Mnangagwa and Zimbabwe to these countries in a global village, but expecting magic bullets from foreigners to solve our problems is not thoughtful," he said. The MDC said the money used for Mnangagwa's expensive excursions should have been used for something else more important — given the current shortages of foreign currency in the country. "This tour makes the crisis worse. He was on leave just recently and he already has five countries to visit. The money used there would have paid doctors for a month or so," a fuming MDC spokesperson Jacob Mafume said. Apart from the shortages of fuel and other basic goods, the government has also had to contend with myriad problems in the health sector, such as the ongoing doctors' strike and shortages of critical medicines. However, the post-July 30 election shootings — which left at least six civilians dead when the military used live ammunition to quell an ugly demonstration in Harare's central business district (CBD) on August 1 — was seen as having dented his international image significantly, in addition to harming his chances of getting financial support from Western countries.